The Unrefined Jewel, Danielle Kim a.k.a Kim Dani! 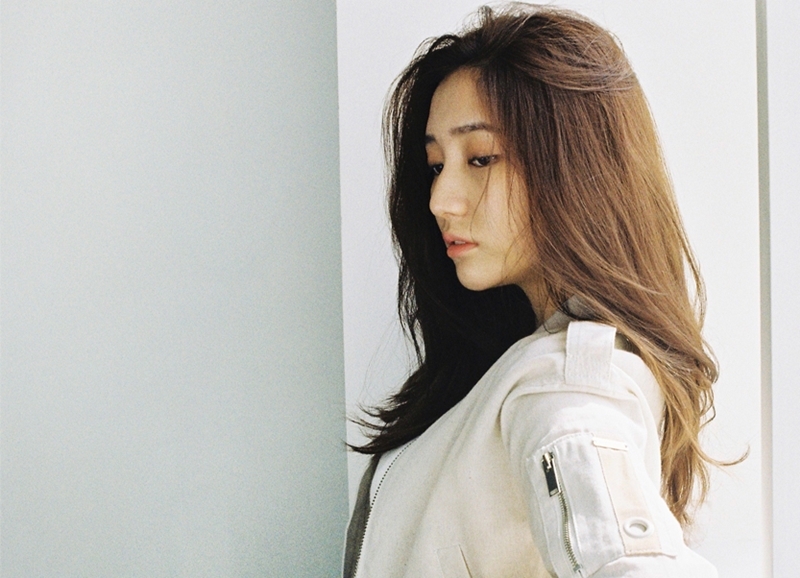 Kim Dani is currently working as a solo artist under MBK entertainment. After her first appearance in T-ARA’s Day by Day Music Video, Dani who was packing up her things in the US in order to come to Korea, planned to join T-ARA as the 9th member after Ahreum and Hwayoung. She was supposed to join at the end of the year (2012), but somehow didn’t make it to the debut because in the end, the agency initiated Dani to not be part of them. Which also means Dani was actually never a part of T-ARA. She is best known for her appearance on survival program MNET’s “Produce 101 season 1” as a hardworking contestant. 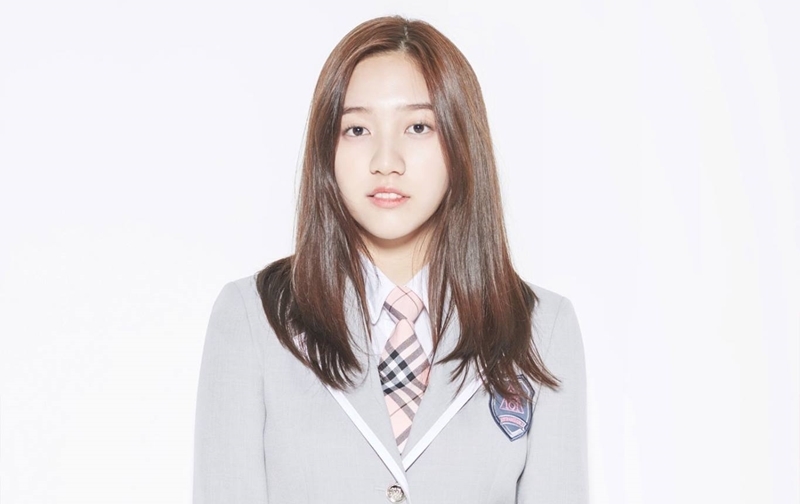 She joined as MBK Entertainment’s trainee, together with DIA’s Jung Chae-yeon and DIA’s Cathy (Ki Hui Hyeon), but later Dani was eliminated in 10th episode, ranked #24 out of 35 contestants. In 2013, after Ahreum reportedly had withdrawn from T-ARA and T-ARA N4, Dani was said to be replacing Ahreum in T-ARA N4, but the agency finally decided not to add her to the group, ultimately leaving her nowhere, as a trainee under the agency. But Dani has since found work starring in CFs and music videos, singing with F-ve Dolls, appearing in small roles in a few K-dramas, and working as an official translator for T-ara N4 during their iconic American debut at pool party with Chris Brown and some sneaker stores in L.A. Until she finally made it as a contestant of MNET’s Produce 101, regaining her popularity back in 2016. Dani was known as the most hardworking trainee in the show. Evethough she had little screen time compared to other popular contestants, she always worked very hard to memorize all the choreography and her dancing was apparently looked good overall. With her tall body, long limbs, and charming face, the judge (Kahi) said that she resembles Uee (former After School) a lot. In the 1st episode, Dani and other MBK Trainees performed “Bad Girl Good Girl” by Miss A. She was placed in B Class. In the 3rd episode, Dani was reevaluated to A class. In the 4th episode, Dani got sick and was unable to attend practice. Fortunately she quickly recovered from her fever. In the 5th episode, the first group of eliminations happened and only 61 girls were allowed to survive. Luckily, Dani was 7th place. 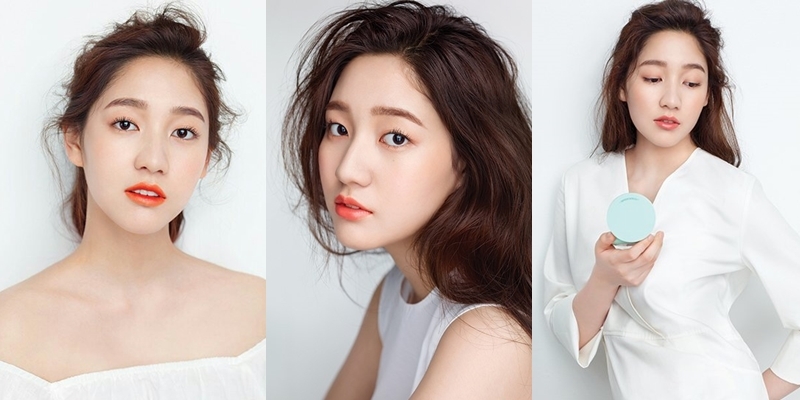 In the 7th episode, her group composed of Choi Yoo Jung, Jeon So Mi, Kim Do Yeon, Kim Chung Ha, Kwon Eun Bin, and Kim Seo Kyung, receiving the show’s first-ever encore call with the “Bang Bang” song. But she placed last (7th place) in her group for the position evaluation. In the 8th episode, the second set of eliminations happened during this episode. Dani placed 18th out of the 35 trainees that were allowed to survive. In the 10th episode, the third batch of eliminations happened and Dani placed 24th. Unfortunately, only 22 trainees were allowed to survive. She has lived in California since she was 4 years old. Her original dream was to be an actress. When she was preparing to join T-ARA, she practiced dancing and rap for 7 hours a day. The agency also revealed that in her free time, she had been going around Korea with her parents to tour and learn more about the Korean culture. In 2012, when she was talking about joining Tiara, she could not speak Korean well. In drama school 2013, she was conscious in front of the camera and it led to some controversy (got caught up by netizens). In 2013, Dani joined T-ARA N4 as a temporary member, and was quickly removed from the group in October 2014 without any official promotion. She said she didn’t join DIA because the ‘cute’ concept didn’t suit her. Some of her friends are Jeon Somi (from Produce 101), Shannon (label mate MBK), Former Chocolat’s Tia, and basically other mixed race idols in South Korea. She also has a good relationship with Chris Brown. She sang “Let It Go” from Frozen’s OST and Rihanna’s “Diamond” with Shannon at SBS MTV’s SPEED showcase ‘Speed Day’. She has a couple bracelet with Shannon. When Dani hangs out with her, they speak in English rather than Korean. Dani stirred up some controversy with her comment about being an outcast on ‘Human Documentary’, then she apologized and made it clear that there may have been some misinterpretation because of her not-so-fluent Korean speaking skills and there was no harmful intent behind her comment. She said what she learned the most from Produce 101 was “Everyone who appeared, not only me, will feel like that. I have really improved my skills. If I neglected a little, I was in a situation to be left behind, so I had to work really hard so I could develop that much“. She thinks the most crucial reason for her dropping out from Produce 101 was limitations in her singing ability. She also did not start dancing from the beginning, but she learned more and more fun by learning. But it seemed that it was not enough, she was out of luck and not really good at singing. There were rumors about her participation in ‘Produce 48’ (MNET’s Produce 101 Season 3), but she later spoke up and firmly stated via Instagram that the rumors were false. Dani made her acting debut in 2013 in the drama KBS2’s “School 2013”. 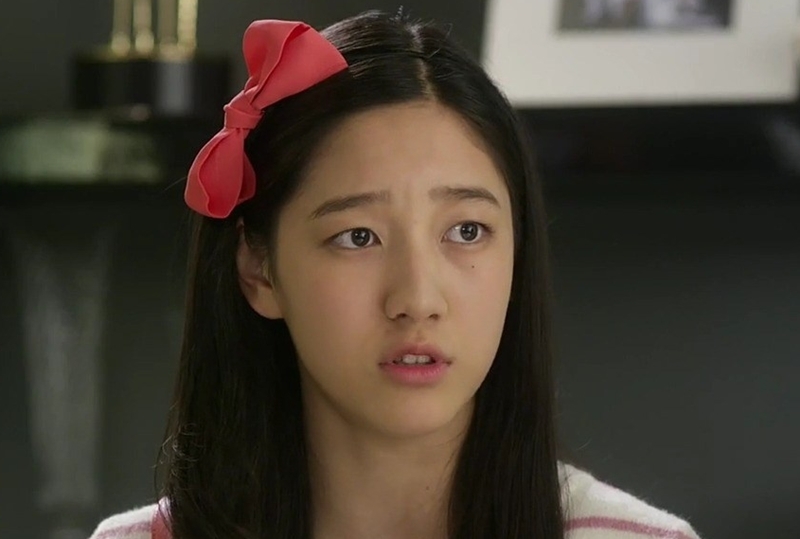 Her mistake in the drama angered viewers, because she briefly glanced directly into the camera, she was caught with an awkward expression while all of her co-stars were focusing on one of the other characters. The mistake was quickly picked up by the press, with several articles hitting Korea’s major news portals about the negative netizen reaction to Dani’s slip-up. After Produce 101 ended, Dani landed her first CF together with two other former contestants, Sohee and Chaekyung. She also did pictorials and interviews with STAR1 magazine! She appeared in the fashion magazine at “@STAR1” with her neat charm on June 2016. She created an elegant atmosphere with her unique and sneaky look [pictures here]. She graced ELOQ Korea’s LOOKBOOK in April 2016 [pictures here].